I have been gone too long from this blog, but I still see [from my stats] a lot of you are still clicking and reading my posts. I feel very glad that this blog still can make people happy, by reading about their favorite idol or by looking at pics. The first time I opened this blog . . . this was intended to be a Bae-blog, but yours truly - being talkative - had lots of things [besides Bae Yong Joon] to talk about. So this became a hodge- podge or patch-work sort of blog . . . all sorts of things mixed up together. There are some constant subjects though . . such as BYJ, KHJ, SS501, photography, things about my life . . . etc. Now, I come back to my initial fandom . . . the Bae-fandom. When I first saw BYJ, in the Legend in late 2007, I couldn't operate a computer at all . . . so I was still in the dark . . . in 2008 I became very interested in learning more about BYJ. . . so that I opened the computer and learned to go online. BYJ was the motive and the incentive ! Since then I've been online and have learnt a lot of things through trial and errors . . . felt very happy that I could open and maintain a blog [err . . several blogs . . now]. Being a Bae family in Indonesia, I felt so lonely ! . . . There's so few of us ! I only knew Cyang in KOB and Deka in Soompi BYJ-thread. Then they both became inactive . . . and [I thought] I was alone, luckily there are many Baefamily from all over the world, and I wasn't left alone moping too long. Recently I chanced upon a picture and conversation about BYJ in FB . . . I didn't know the poster . . . but I saw that she was Indonesian, there were some Baesisters I knew posting comments there, so I scrolled down and read the comments. To my surprise there were more than three [ HAHH ! ! ! ] 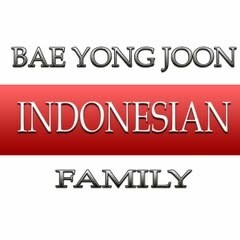 Indonesian fans of BYJ talking about how unfortunate it was that there was no BYJ site in Indonesia. Oh my !! I just HAD to join in the conversation . . . how come I didn't know about them ?? Well, I just jumped in [I didn't care . . . if they wouldn't talk to me, I'll deal with that later] . . you know, this time I'm so glad I followed my impulsive nature and jumped in !! thank you for helping to make our dreams come true !! sis myoce... here i am... yes, thanks to you also, we can never do it without you. ahhh.. you moved me to tears. hahaa... been so sensitive today. May our meeting be a start of something beautiful, something that can also give happiness to others !